In case you missed this last month, the Hoover Dam Museum is reviving it’s Boulder City Third Thursday lecture series, sponsored by the Boulder Dam Credit Union. 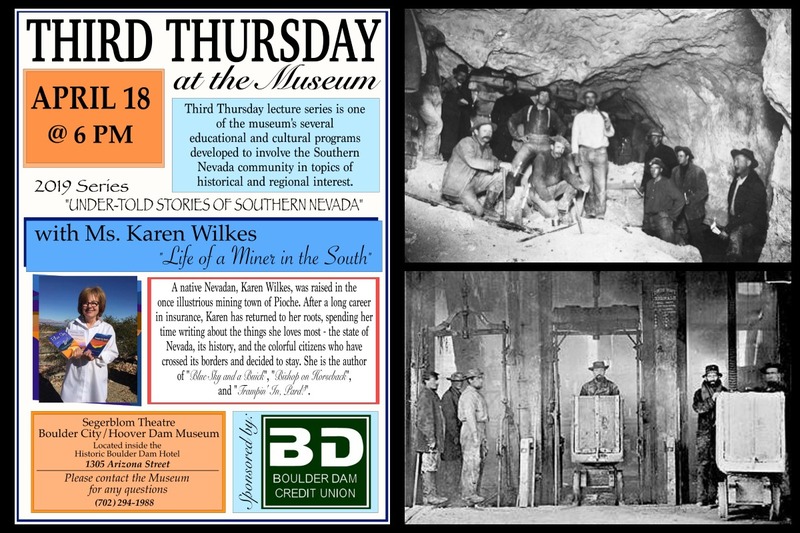 This month, at 6pm on April 18th, you’ll hear from Local Author Karen Wilkes (we told you all about her books in our Local Authors Series HERE) on the “Life of a Miner in the South” and is the author of several books on the history of Nevada. Be sure you come and check it out!